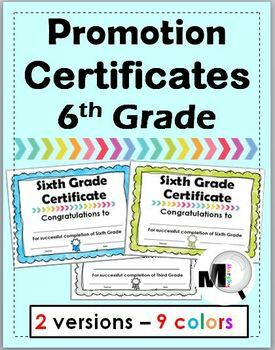 This resource comes with a Promotion Certificate for Grade 6 in 2 versions each with 9 color choices. Version 1 has a decorative arrow divider after the title. Version 2 has no arrow divider. 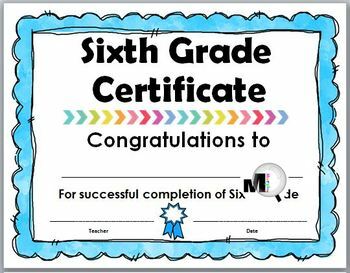 All 9 certificates for each version are identical except for the colors. This is NOT an editable file. 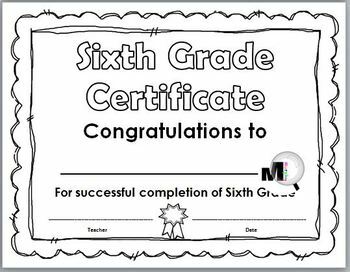 You will need to print then write on the certificates. 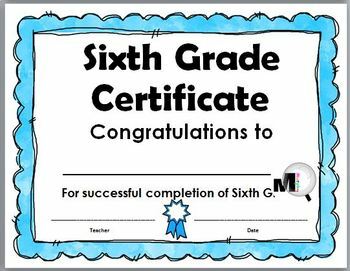 The certificates print 1 per page (approx. 8 ½“ x 11”) but you can set your printer to print smaller sizes if you prefer. To view more of my Certificates and Diplomas, please click on the link below.